SOUTH Adelaide has fired a warning shot to minor premiers, Norwood ahead of the finals series, toppling the previously undefeated Redlegs to give them something to think about heading into the post-season series. In other games, North Adelaide destroyed Central District, West Adelaide breathed a sigh of relief with a narrow win over Woodville-West Torrens, and an Ebony Marinoff-led Glenelg took the points against Sturt. North: Christie Castle 3, Kelly Barltrop 2, Adrienne Davies, Lauren Daniel, Erica Greet, Kathryn Reynolds, Brittany Perry, Sharni Tansell. North: Lauren Daniel 21, Kathryn Reynolds 19, Emma Sampson 18, Adrienne Davies, Erica Greet, Brittany Perry, Leah Tynan 16. North Adelaide’s stunning resurrection since Round 5 continued with the Roosters notching up another massive victory – their fifth on the trot. With a round to go the Roosters locked away finals and look the most in-form side of the competition after a 63-point demolition of Central District. Lauren Daniel and Brittany Perry kicked off the game with early majors, and while the Bulldogs managed to pepper the goals in the second term, they could not put one through the big sticks. Instead, the likes of Cristie Castle (two goals), Kelly Barltrop and Kathryn Reynolds all added goals to North Adelaide’s cause, to lead by 38 points at the main break. The one-sided affair continued in the third term as Adrienne Davis and Sharni Tansell both added their names to the goalscorer list, while Castle booted her third later in the term. Courtney Jensen finally broke through for the Bulldogs’ first almost nine minutes into the final term, but it would just be a consolation goal as Erica Greet and Barltrop finished off the game strongly for the Roosters to run out convincing 11.7 (73) to 1.4 (10) winners. Daniel had the most disposals with 21, as well as three marks, four tackles, two clearances, two inside 50s and two rebounds, while Reynolds picked up 19 as well as three marks, seven clearances and six tackles. Emma Sampson missed opportunities to get on the goalkickers list with three behinds, but still managed 18 disposals, nine marks and five inside 50s, while Castle had 15 touches and four marks to go with her three goals. For the Bulldogs, Caitlen Teague racked up 17 touches, two marks, two clearances, two rebounds and three tackles in the loss, while Jayme-Lee Sonneman tried hard through the ruck with 11 hitouts to go with 14 disposals, six clearances, three rebounds and two inside 50s. In the final round of the season, North Adelaide faces Sturt, while Central District takes on ladder leaders, Norwood. West: Marie Martino 2, Melanie Elsegood, Helen Maidment, Emma Smith. Eagles: Jaimi Tabb, Natasha Farrier, Georgia Taylor, Stephanie Walker. Woodville-West Torrens Eagles have fallen heartbreakingly short of their inaugural victory, going down to fourth-placed West Adelaide by five points. With only pride on the line, the Eagles pushed the Bloods – who needed a win to all but secure finals – all the way, falling less than a kick short of victory. The Eagles started strongly with Stephanie Walker and Georgia Taylor booting goals either side of West Adelaide’s Marie Martino to lead by five points at quarter time. When Natasha Farrier converted for the visitors 39 seconds into the second term, it was looking promising, but a couple of missed chances by the Eagles were punished by West Adelaide’s Emma Smith who cut the deficit to seven. The third term was all the Bloods as a couple of missed chances eventually resulted in Martino booting her second and West Adelaide levelling the score by the final break. The Bloods skipped away in the final term with goals to Helen Maidment and Melanie Elsegood putting it out to a 13-point lead. Jaimi Tabb missed a chance then converted, and a late opportunity was rushed through the Eagles goals before the siren sounded not long after for the home side to hold on for the 5.5 (35) to 4.6 (30) victory. Rebecca Owen was busy across the ground with 18 disposals, six marks and four inside 50s, while Martino had 16 touches, four marks, four tackles and two inside 50s. Abbie Ballard and Madison Newman both had 15 touches, while Ballard finished with four clearances and four tackles. For the Eagles, Farrier was the standout player on the ground, racking up 24 disposals – 22 kicks – as well as two marks, four tackles, five clearances, five inside 50s, three rebounds and a goal. Tabb (16 touches, three marks, five tackles and three clearances) and Walker (15 disposals, four marks, two inside 50s and two rebounds) were also prolific in the loss. In the final round, West Adelaide has to defeat South Adelaide to guarantee finals, while Woodville-West Torrens must defeat Glenelg to both grab its first win of the season, and deny the Tigers a finals spot. Glenelg: Ellen Fauser 4, Lucy Armitage, Caitlin Gould 2, Lucy Bellinger. Sturt: Tess Maple, Georgia Swan. Adelaide Crows’ star Ebony Marinoff has led Glenelg to a memorable victory over Sturt to set up a potential finals berth for the Tigers. Glenelg needs to win in the final round against the winless Woodville-West Torrens, while West Adelaide has to defeat second placed South Adelaide to retain fourth spot. In the Round 9 win over the Double Blues, a goalless first quarter saw Sturt lead by two points, with Marinoff getting on the board early with a behind. Lucy Bellinger took just 16 seconds to slam through the first major of the game after the restart in the second term, before Tess Maple levelled it up with a goal apiece and Sturt leading by two once again. Four consecutive goals to the Tigers between the seventh minute of the second quarter and fourth minute of the third quarter – two each to Lucy Armitage and Ellen Fauser powered the Tigers away, before Georgia Swan got one back for the visitors. It ultimately meant very little as Caitlin Gould and Fauser would finish off the game with another two goals each – Fauser nailing four straight for the match as the Tigers ran out seven-goal winners and kept their finals dream alive. Marinoff was clearly the standout player on the field to no-one’s surprise, racking up 35 disposals – the most of any player in a single game this season – as well as 10 clearances, seven inside 50s, two rebounds and six tackles. She had plenty of support however, as Gould registered 18 touches and 22 hitouts through the ruck, while also having four clearances. Armitage accompanied her two goals with 17 disposals, five marks, four tackles and three clearances, while Bellinger laid seven tackles and had 17 disposals. Fauser was the dominant forward on the ground with 12 disposals, five marks – two contested – four hitouts and two inside 50s as well as her four majors. For Sturt, Georgia Bevan had a team-high 15 disposals, four clearances, three rebounds and four tackles in the defeat, while Paxton Mattner player her best game of the season with 14 touches, four rebounds and five tackles. Maya Rigter was her usual self around the stoppages laying a massive 12 tackles and having four clearances and four inside 50s from 12 disposals. In the final round of the season, Glenelg faces Woodville-West Torrens, while Sturt takes on the in-form North Adelaide. South: Madison Bennett, Lauren Buchanan, Elyse Haussen, Hannah Munyard, Tamara Page. Norwood: Monique Hollick 2, Jo Hill, Sally Riley. In the predicted match of the round, South Adelaide has upstaged minor premiers Norwood with a seven-point victory in what could be a grand final preview. The Panthers bounced back from a rare loss to Glenelg last week to topple the Redlegs despite conceding three of the first four goals. Lauren Buchanan booted the first for the home side in just 10 seconds, before Sally Riley responded for Norwood a few minutes later. Jo Hill and Monique Hollick boosted Norwood’s chances of victory with goals in the second term as the favourites headed into the main break with a 12-point advantage. The third term belonged to the Panthers as Tamara Page and Elyse Haussen slammed home majors in the opening few minutes and in a scoring frenzy, Teah Charlton was amongst everything. Unfortunately the talented teen forward could not covert, heading into the final break with five behinds to her name. Fellow South Australian Under-18 representative Hannah Munyard could convert however, handing the Panthers a 10-point lead at three quarter time having kept the Redlegs scoreless in the premiership quarter. Madison Bennett soon added another nail to the Norwood coffin two minutes into the final term as they led by 16, and while the Redlegs chipped away in the final term, Hollick was the only one who could put through a major and Norwood fell five points short of remaining undefeated heading into the final round. Czenya Cavouras had a team-high 22 disposals, two marks, eight tackles, two clearances, three inside 50s and two rebounds, while Haussen found plenty of the ball with 20 touches, four clearances, two inside 50s and two tackles. Charlton might have had the five behinds, but her endeavour was always there with an impressive 14 tackles as well as 18 disposals, two marks and three inside 50s. Nikki Gore had 15 disposals, four tackles, three clearances and three inside 50s in a strong effort, while Cheyenne Hammond was impressive in defence with four rebounds as well as 14 disposals and four marks. For Norwood, Najwa Allen was on fire once again with 24 disposals, eight marks, four clearances, three inside 50s and five rebounds, while partners in crime, Hannah Dunn (20 disposals, four marks, three clearances, two inside 50s and seven tackles) and Riley (20 disposals, six marks, three inside 50s and three tackles) were also impressive. Hollick had an influence with 10 touches, four marks and four inside 50s and two goals. In the final round, South Adelaide can try and end West Adelaide’s finals hopes with a victory, while Norwood round out its season again Central District. GLENELG has kept its finals hopes alive with a stunning 14-point win over South Adelaide, a side that just last week took care of the Tigers. The Panthers loss means Norwood has now sealed the minor premiership up, while results across the round saw Sturt, Central District and Woodville-West Torrens out of the finals race with two rounds remaining. Norwood: Lindsay Bigg 3, Jo Hill 2, Monique Hollick, Hannah Dunn. After an inaccurate first term, premiership favourites Norwood booted six goals to one in the final three terms to slam the door on Sturt’s finals aspirations. The Double Blues were gallant in the opening quarter, restricting the Redlegs to just the one goal – a Jo Hill major in the third minute. However the goals flowed freely after quarter time as Hill booted her second 68 seconds after the teams reconvened, which was followed by goals to Lindsay Bigg and Hannah Dunn for the home side to take a 26-point lead at the main break. Monique Hollick kept the foot down for her side in the third quarter with an early major, before Biggs’ second was the only other score of the term and the Redlegs were 32 points ahead. While Georgia Bevan scored a consolation goal and Sturt were more dominant inside 50 in the final term, it equated to just 1.4 as Bigg’s third goal before the final siren handed Norwood a 35-point win and a minor premiership. Najwa Allen‘s sensational season continued with another massive 32 disposals, five marks (two contested), three tackles, five clearances, five inside 50s and four rebounds. Dunn was dangerous as well, racking up 23 touches, four marks, three tackles, five clearances, three inside 50s and three rebounds. Hollick (15 disposals, four marks and three clearances), Sophie Armitstead (13 touches, three marks and six tackles) and Matilda Zander (10 disposals, three clearances and four inside 50s) also had strong influence on the gmae. For Sturt, Alexandra Ballard had a team-high 19 disposals, three tackles, three inside 50s and four rebounds, while Bevan had 12 touches, four tackles, three clearances, two inside 50s and two rebounds. Nicole Baker (11 disposals, eight tackles) and Maya Rigter (11 disposals, 10 tackles) also provided plenty of defensive pressure on the opposition. Next week Norwood takes on its biggest challenger, South Adelaide, while Sturt faces Glenelg to try and end the Tigers’ finals hopes. Glenelg: Lauren Bungey 3, Ellen Fauser, Samantha Franson. South: Elyse Haussen, Jessica Kirk. A week is said to be a long time in football and it could not have been more true in this game, with Glenelg turning around a disappointing defeat to South Adelaide a week earlier for the Tigers to stamp their authority on the match and run out 14-point winners over the Panthers. The Tigers restricted the visitors to just one behind in the first 50 minutes of play as Ellen Fauser opened Glenelg’s account, then back-to-back goals to Lauren Bungey had the home team up by 18 points at the main break. Elyse Hausen broke through for South Adelaide’s first major in the thirteenth minute of the third term and when they peppered the goals early in the last quarter, culminating in a major to Jessica Kirk, they were four points down and another comeback was on the cards. But Glenelg ripped up the script and goals to Bugey and Samantha Franson saw the Tigers hold on and record a superb 5.2 (32) to 2.6 (18) victory. Ellie Kellock was the Tigers’ highest disposal winner with 23 as well as seven marks, seven tackles, five clearances, five inside 50s and three rebounds. Chelsea Packer also found plenty of it with 21 touches, four marks, three tackles and a game-high seven rebounds. Lucy Bellinger and Cassie Hartley both had 11 disposals in the victory, while Bungey made the most of her three goals from just seven disposals. For South Adelaide, Czenya Cavouras had 17 disposals, seven clearances, three inside 50s and a massive 12 tackles, while Nicole Campbell was solid with 16 disposls, two marks, four inside 50s and two tackles. Hannah Munyard (14 touches, four inside 50s and five tackles) stood tall, along with Indy Tahau while inaccurate (three behinds) provided a presence with 11 disposals, two contested marks, seven hitouts and three clearances, assisting Montana McKinnon (10 disposals, 17 hitouts). Next week Glenelg take on Sturt to keep their finals hopes alive, while South Adelaide face Norwood in a top-of-the-table clash and potential Grand Final preview. North: Kelly Barltrop 5, Brittany Perry 2, Danielle Nunns, Paige Allan. If there was any doubt North Adelaide was a genuine premiership contender, it was erased on Saturday with a 10-goal thumping of Woodville-West Torrens. While the Eagles are yet to win a game this season, the manner in which the Roosters took control from early and through sheer weight of numbers ran out 9.13 (67) to 1.1 (7) winners. A massive 22 scoring shots to two show it could have been an even greater margin, but the Roosters booted eight goals after quarter time as competition leading goalkicker, Kelly Barltrop added another five majors to her tally, while GWS GIANTS midfielder Brittany Perry starred in her return game for the club. Perry and Barltrop booted five behinds between them so could have reached even greater heights, while Natasha Farrier‘s major midway through the final term ensured the Eagles did not finish the game goalless. On the stats sheet, the Roosters completely dominated with 79 more disposals, incluindg 54 more kicks, 26 more marks – nine to one contested – and a massive 35 inside 50s to 14. The Eagles did match the Roosters around the stoppages with 17-16 clearances in favour of the winners a narrow victory considering they won the hitouts 25-9. On the individual front, Perry had 24 touches to go with her 2.3, as well as four marks, two tackles, two inside 50s and two rebounds, while Lauren Daniel had 21 touches, three marks and a tackle. Emma Sampson put the ball inside 50 six times as well as taking five marks and having 19 disposals, while Barltrop finished with five marks, four hitouts and 11 disposals with her five majors. For the Eagles, Stephanie Walker was the standout with 21 disposals, three tackles, two clearances and an equal team-high five rebounds, while Natalie Subelli had 18 touches and three clearances. Shae Pacifico Hart was the other defender to battle hard at the defensive end with five rebounds to go with eight touches and three marks, while Farrier had the 11 disposals, three marks, three clearances and two inside 50s as well as the Eagles’ only goal. Next week the Eagles take on West Adelaide, while North Adelaide hosts Central District with both games on Friday evening. West: Chelsea Biddell 2, Melanie Elsegood. In the final game of the round, West Adelaide kept in control of its own destiny by posting a low-scoring 16-point win over a gallant Central District. Melanie Elsegood booted the only goal of the first half in the seventeenth minute of the first term in what was an otherwise inaccurate half of play. The Westies’ leading goalkicker Chelsea Biddell scored her first early in the second term, before Isabella Wilson responded midway through the quarter with Central District’s first of the match. Leading by just nine points at the final break, West Adelaide managed to hold on as Biddell booted her second to finish the day with 2.3 from five scoring shots, while also restricting the Bulldogs scoreless in the last term to win 3.8 (26) to 1.4 (10). Biddell finished with 18 disposals, four marks, five tackles and four inside 50s as well as her two goals, while Madison Newman was busy at half-back with five rebounds, two inside 50s, two marks and a game-high 19 disposals. Kasia Culhane also had 18 touches as well as five tackles, five clearances, two inside 50s and two rebounds, while Rachelle Martin made a successful return with 18 disposals, six tackles, four clearances and three inside 50s. Tekira Hoffmann was also influential in the ruck with 23 hitouts, five clearances, four inside 50s, six tackles and 11 disposals, while Abbie Ballard was impressive with five tackles and four clearances to go with 13 touches. For the losing side, Kimberley Fry had 18 disposals, three clearances, four rebounds and six tackles, while Demi Sonneman was also impressive with 16 touches, three tackles and three rebounds. Jayme-Lee Sonneman held her own in the ruck with 11 disposals, 17 hitouts, three clearances, three tackles, two inside 50s and two rebounds, while Danielle Stewart (13 disposals, six tackles) and Caitlen Teague (13 disposals, three tackles) were also solid in the loss. In Round 9, West Adelaide hosts the winless Woodville-West Torrens, while Central District travels to take on the in-form North Adelaide. AS the final few weeks of the South Australian National Football League (SANFL) Women’s season approaches, Norwood and South Adelaide look settled in the top two, while North Adelaide is coming with a bullet. The remaining teams are fighting it out for fourth, with West Adelaide in the prime spot ahead of Glenelg. South: Madison Bennett 3, Danielle Goding, Elyse Haussen, Hannah Munyard. South Adelaide’s winning streak stretched to six on the weekend, whilst also sentencing Glenelg to its fourth straight defeat, following the Panthers’ 28-point victory. Madison Bennett and Danielle Goding got the visitors off to the perfect start early, booting two goals before Lucy Bellinger got the Tigers on the board. By half-time the writing was on the wall as Elyse Haussen, Bennett and Hannah Munyard all converted opportunities as Glenelg registered the three behinds. To Glenelg’s credit the Tigers tightened the screws in the second half, booting the only goal of the third term – another major to Bellinger, and holding the Panthers goalless until the 15-minute mark of the final term when Bennett converted her third to put the icing on the cake. Munyard was the top disposal winner for the Panthers, collecting 23 disposals, three marks, three clearances, two tackles and booting a goal, while Czenya Cavouras and Teah Charlton were again busy for the visitors, combining for 40 disposals, 23 tackles and nine inside 50s, constantly bringing pressure to the ball carrier. Bennett was the most influential forward, booting the three goals as well as having 11 disposals, three tackles and three inside 50s. For Glenelg, Bellinger had 16 touches, six marks and five tackles to go with her two majors, while Cassie Hartley finished with 18 disposals and eight marks – the most of any Tiger – as well as six tackles and four rebounds. Caitlin Gould‘s strong season continued with 13 disposals, seven tackles, 16 hitouts, five clearances and three inside 50s. These teams will not have to wait too long to face off again, with a Saturday evening clash scheduled in a fixture anomaly. Sturt: Alexandra Ballard 2, Georgia Swan, Nicole Baker, Lauren Lovell, Taylor Prenzler, Maya Rigter, Caitlyn Swanson. Eagles: Kiana Lee 2, Natasha Farrier, Chloe Forby. Sturt has overcome a sluggish start to storm home against Woodville-West Torrens and claim a memorable 34-point win. It took until the final term to finally open the floodgates, but the result was glorious after the Eagles kicked four of the first five goals, including two to Kiana Lee, to lead by 17 points. The Double Blues had all the play in the second term but could not convert on the scoreboard, booting six straight behinds to still trail by 13 points at the main break. Nicole Baker finally broke the drought five minutes into the third term, and then Alexandra Ballard converted on her third opportunity, as Sturt drew level at the final break. With all the momentum firmly with Sturt, the Double Blues stormed home, albeit with some more inaccuracy early, booting three straight behinds before five final-quarter goals in 12 minutes put an exclamation mark on Sturt’s best performance to-date. Georgia Bevan was the top possession winner for the Double Blues with 19, while laying fierce tackles totalling 11, as well as five marks, seven clearances and five inside 50s. Lauren Lovell finished with 17 touches, two marks, three tackles and three inside 50s, while Ballard booted 2.3 from 10 disposals and four marks. Caitlyn Swanson was another who stood up in the win, booting a goal from 13 disposals, four tackles, five clearances and three inside 50s. For the Eagles, Lee was the standout performer, booting two goals from 13 touches, three marks (two contested) and three tackles. Stephanie Walker also had 13 touches as well as three tackles, while Abby Pengelly finished with 12 disposals, three clearances and two rebounds, and Jovanka Zecevic worked hard in defence for four rebounds from 10 touches. Next week, Sturt hosts the top-of-the-table Norwood, while the Eagles head into a home clash against the in-form North Adelaide. North: Christie Castle, Emma Sampson 3, Kathryn Reynolds, Leah Tynan. West: Megan Rich, Abbie Ballard, Melanie Elsegood, Alexandra Mason, Mary Smith. North Adelaide have leapfrogged West Adelaide into third spot following a convincing 20-point win over the Bloods. The Roosters showed their intent early with the first four goals, including three to Emma Sampson, before Melanie Elsegood and Alexandra Mason converted chances for the visitors to cut the deficit to 11 points at the first break. Leah Tynan and Cristie Castle booted the next three goals of the match to extend the deficit out to five goals, before West Adelaide answered with three of their own in the premiership quarter to cut the deficit to just 12 points. In a tighter final term, Kathryn Reynolds booted the only major of the quarter less than four minutes in as the Roosters controlled most of the play and enjoyed the 8.5 (53) to 5.3 (33) victory. Erica Greet had a game-high 19 touches for the Roosters, as well as five marks and six inside 50s, while Tynan was prolific in midfield with seven clearances and 16 disposals. Lauren Daniel (15 disposals, five inside 50s) and Castle (13 disposals, three goals) were also busy in the front half for the winners. Abbie Ballard and Madison Newman were again the top stars for the Westies, amassing 17 disposals each, as well as a combined eight inside 50s and seven rebounds, while Ballard found the big sticks with one major. In round 8, North Adelaide travel to face the winless Woodville-West Torrens, while West Adelaide hit the road in a clash with Central District. Norwood: Najwa Allen, Erika Sporn, Matilda Zander 2, Leah Cutting. Central: Abbey Scheer, Isabella Wilson. It was a grind, but premiership favourites Norwood eventually shook off the early challenge from newcomers Central District to post an impressive 38-point win and remain undefeated after seven rounds. The Redlegs have already booked their finals spot and indeed look locked in to the top two. Matilda Zander scored a goal in the first 41 seconds to give Norwood something to celebrate early, before Abbey Scheer put a major through after missing just prior. Leading by three points at the first break, Zander booted the first of the second term, shortly followed by high possession getter, Najwah Allen. When Leah Cutting and Erika Sporn booted the next three goals of the game, the result was beyond doubt and as Allen made it two, the margin was seven goals. Isabella Wilson booted a late consolation goal for the Bulldogs, with the final margin sitting at 38. Unsurprisingly, Allen received leather poisoning again for her 30 disposals, two clearances, three inside 50s, two rebounds, two goals and nine marks. Fellow midfielder, Hannah Dunn also found plenty of it with 22 touches, three clearances and six tackles, while Monique Hollick was busy on the outside with 22 disposals and five inside 50s. Zander had 16 disposals and four inside 50s to accompany her two majors. For the Bulldogs, Jayme-Lee Sonneman had a big day in the ruck with 17 hitouts and eight clearances as well as 13 disposals, while Gemma Doughty had four rebounds with 13 touches, five tackles and two clearances. Latiah Huynh had a team-high 15 disposals, as well as three clearances, four tackles and two inside 50s. WITH a month to go in the South Australian National Football League (SANFL) Women’s competition, things are heating up in terms of ladder positions and finals ramifications. Norwood is one win away from consolidating a finals spot this season, although they will not want to rest on their laurels with South Adelaide right behind them with five wins from six games. The Panthers take on the mid-table Glenelg who have dropped three on the trot, while North Adelaide and West Adelaide do battle in a huge game on Saturday. The opening game of the round kicks off tonight with the red-hot South Adelaide travelling to ACH Group Stadium to face the out-of-form Glenelg. The Tigers started the season on fire with three victories, but the wins have dried up and while the wooden spooners are much improved from their 2018 season, their finals hopes are looking shaky with North Adelaide ready to pounce on their fourth spot. The Panthers had a bit of a shock last week against Central District before putting the foot down and doing what they do best – win by plenty. South will be minus Montana McKinnon who has AFL Women’s Academy duties, while Emily Brockhurst is out after a knee injury in last week’s win. Into the side comes three players to an extended bench, with full-forward Brianna Wedding to fill McKinnon’s role down forward, while Alana Browne and Brooklyn Kraft have been added to the interchange. Last week Mykala Walker-Murphy booted four goals in an imposing effort up forward and it will take something special to stop her, although Glenelg’s Ellen Fauser has been in good form this season and could be the match-up for her. The Tigers have opted to make at least two confirmed changes, with Charlotte Dawe and Laura Isaac back into the midfield, while Hannah Crump adds firepower to attack. The Panthers midfield is incredibly strong with Hannah Munyard, Czenya Cavouras, Nicole Campbell and Elyse Haussen all enjoying strong seasons, while Teah Charlton has potency in the forward half. For Glenelg. Lucy Bellinger is capable of doing damage up forward, while Caitlin Gould has been named at full-back having enjoyed her time in the ruck, and the likes of Sam Franson and Madisyn Freeman also contributing throughout the season. It is hard to look past South Adelaide in this game given the respective formlines, but Glenelg improved last week and will hope to take its game to another level in this clash. In a game that probably will not feature too much in finals calculations, but certainly has a lot of pride attached, is the bottom two clash between Sturt and Woodville-West Torrens. Both sides have had their chances this season showing good form at times within matches, but have not been able to sustain their consistency, winning just one game between them. Sturt took it right up to West Adelaide last week and looked like the Double Blues had turned their losing start to the season around, only for the Bloods to run over the top of them in the second half. If Sturt can maintain that intensity for four quarters, expect them to have a much better chance at the two points in this game. The Eagles looked good early in the season, but have managed just the five goals in the past three weeks with scoring drying up. To counteract this and hope for a change, the visitors have brought in half-forward Bronwyn Davey and centre half-forward Taylor McKay, as well as midfielder, Emily Tromans. Jaimi Tabb misses again due to unavailability, while Adele Gibson is out with a knee injury after going down last week. For Sturt, they have made just the two changes, welcoming back two important players for the match, with Georgia Bevan missing last week’s win due to a wedding, while Alex Ballard adds some youthful exuberance to the team. Sturt are deservedly favourites for this game, with Bevan, Caitlyn Swanson and Maya Rigter a good core midfield, while Nicole Baker and Tess Maple can create opportunities up forawrd. The Eagles have a number of players who can turn games, but rely a lot on Kiana Lee down forward, while Natasha Farrier could be a key to getting scores on the board in this game. Stephanie Walker and Tesharna Maher are other players who have shown they can lead the way when required and the Eagles will need a full team effort in this game to get over the line. The match of the round is certainly the North Adelaide and West Adelaide clash at Prospect oval. Sitting fifth and third on the table respectively, the sides know what is on the line in this game with the last few weeks of the season ahead. North Adelaide lose two key players with AFL Women’s representatives, Brittany Perry and Ashley Woodland out of the side, while Danielle Nunns and Eva Mitchell are the straight swaps for the Roosters. For West Adelaide, they have made four straight changes for the big clash, as ruck Leah Swain returns to the side, while Jayne Taylah, Alex Czabayski and Scarlett Griffiths all come into the team. There is more than two points on the line in this clash from an individuals perspective, as North Adelaide’s Kelly Barltrop and West Adelaide’s Chelsea Biddell go head-to-head up opposite ends. Barltrop leads the competition goalkicking with 16 goals in six games, while Biddell is just four behind in second with two majors a game this season. Madison Newman (leading the competition in rebounds) and Nadia Von Bertouch are their respective sides’ leading ball winners, with the Bloods ball winner averaging just over 19 per game, while Von Bertouch has led her side from the front, with 17.8 disposals per game. Swain has played just three matches this season for the Bloods, and averages 18 hitouts per game to be second overall in the competition, while Jane Altschwager has been as consistent as anyone in the centre square. With a midfield of Von Bertouch, Paige Allan and Leah Tynan, and a strong rebounder in Amber Ward, North Adelaide have every chance of taking home the points in this clash, however Rebecca Owen, Abbie Ballard and Helen Maidment might have something to say about that as the Bloods hope to keep in touch with the top two. The final game of the round will help Central District measure itself against the premiership favourites. Having won two consecutive games before dropping their past couple, the Bulldogs will hope to get a fast start against the Redlegs in this game. 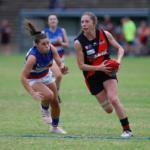 Katelyn Rosenzweig returns to the side in a crucial inclusion against a Norwood team that is reeling from injuries. Along with Rosenzweig, Keely Cannizarro returns to the team in defence, replacing captain Nicola Biagi who misses the clash, while half-back Karissa Searle is also into the team. For Norwood, they seem to have limped into this game with five four changes including three injuries and two unavailabilities. Jo Hill, Cassandra Tsoumbris and Matilda Van Riel will miss through injury, while Kate Fenton and key player Ebony O’Dea will miss the match as well. Despite the wide-scale changes at the ladder leaders, it is hard to see them not controlling this game, with Leah Cutting the number one ruck in the competition, and Hannah Dunn (20.7 disposals per game), Najwa Allen (19.8) and Monique Hollick (17.5) all ranked in the top seven biggest ball winners. Hollick has also been the far and away dominant marker this season, averaging almost seven per game, and 14 more than her nearest rival. One thing Central District do well is clear the ball from defence, and Gemma Doughty and Demi Sonneman are ranked in the top five for rebounds in 2019. It will take a massive effort from the Bulldogs to upstage the Redlegs, but with the high number of chances forcing some adjustability to the Norwood side, and a determined effort with a last chance look at finals potentially on the line, Central District will likely step up and put in a strong effort in this clash. 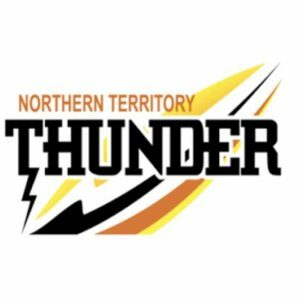 MOVING past the halfway point of the season, premiership favourites Norwood remain undefeated, while North Adelaide and South Adelaide both flexed their muscles against the South Australian National Football League (SANFL) Women’s new sides, and West Adelaide grabbed another four points bouncing back from a poor performance last week. Norwood: Hannah Dunn, Monique Hollick, Bella Smith, Sophie Armitstead. Glenelg: Lauren Bungey, Samantha Franson, Bonnie Wells. After two goalless weeks, Glenelg took less than a minute to get on the board with a major through Bonnie Wells getting their match started. 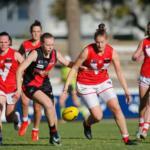 Norwood peppered the goals early, booting one goal from five attempts as Hannah Dunn became the sole Redlegs goalkicker in the first term to hand the undefeated side a four-point advantage at the first break. Refusing to fade away, Glenelg put in a strong defensive effort in the second term to hold the Redlegs scoreless, while booting 1.3 themselves as Samantha Franson converted an opportunity in the tenth minute. After heading into the main break with a surprise five-point lead, the Tigers were hit by a determined Norwood in the third term as Monique Hollick and Bella Smith booted goals in the opening five minutes, before Sophie Armitstead added a third for the top-of-the-table side to race away to a 16-point lead at the final break. 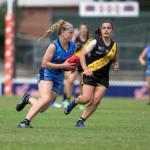 Lauren Bungey gave the Tigers hope early in the final term with a major to put the visitors within 10 points, but neither side could seemingly convert chances into opportunities in the final quarter and that was enough for Norwood to take home the four points with a 4.8 (32) to 3.3 (21) win. Dunn led the way for the Redlegs with 26 disposals, six marks, four tackles, three clearances, three inside 50s and two rebounds, while Hollick had 20 touches, 10 marks, three tackles and four rebounds. Hannah Priest (16 disposals, four inside 50s and three rebounds) and Leah Cutting (nine disposals, 25 hitouts) were also impressive, while Armitstead was again productive with a goal from 15 disposals, five clearances and three inside 50s. For the Tigers, it was Caitlin Gould with 15 disposals, 17 hitouts, six tackles, seven clearances and four inside 50s who was the clear standout against a strong opponent, while Chelsea Packer had 15 disposals, six marks, three tackles and three rebounds. Brooke Trevena was strong in defence with five rebounds from 12 disposals. Next week, Glenelg hosts South Adelaide, while the Redlegs look to make it seven consecutive wins when they face Central District. West: Chelsea Biddell 4, Melanie Elsegood, Helen Maidment. Sturt: Caitlyn Swanson 2, Tess Maple, Sophie Hoyle, Hannah Prenzler. A sluggish West Adelaide has run over the top of Sturt to bounce back from a disapppointing performance the week before and ensure the Double Blues did not make it two consecutive wins. Sturt blew the Westies out of the water early, as Caitlyn Swanson booted two majors, while Sophie Hoyle and Hannah Prenzler also got in on the act with goals, as dominant goalkicker Chelsea Biddell was her side’s sole scorer. The Double Blues stunned the favourites to lead by 18 points at quarter time, and when Tess Maple converted to respond to a second Biddell goal, the Double Blues had five majors on the board, and were three goals up. Unfortunately for the Double Blues, Biddell and her teammates were not going to fade away, converting a third goal in the dying minutes before half-time, then putting her side in front midway through the third term, with her fourth following a Melanie Elsegood goal. While Sturt had managed to stem the goals, the Double Blues could only manage the one behind in the second half, as Helen Maidment consolidated the result with a final goal in the last quarter to hand West Adelaide a 6.7 (43) to 5.1 (31) win over Sturt. Madison Newman had a game-high 21 disposals – 19 of which were kicks – as well as five marks (one contested), eight inside 50s and five rebounds. Biddell worked hard up the ground for 20 disposals and four marks (one contested) as well as four inside 50s and her four goals. Abbie Ballard (18 touches, six inside 50s and seven tackles) was good, while Tekira Hoffman had five clearances and 10 disposals to go with her 15 hitouts in the ruck. For Sturt, Swanson had 16 disposals, two marks and four clearances to go with her two majors from the first term, while Maya Rigter was strong again with a game-high 11 tackles as well as 15 disposals, five clearances and five inside 50s. Casey Fraser (15 disposals), Kate Harris (13 and seven tackles) and Nicole Baker (12 and six) were also among the Double Blues’ best. Next week West Adelaide take on North Adelaide in a crucial clash with finals ramifications, while Sturt will hope to win their second game in a bottom two match against Woodville-West Torrens. South: Mykala Walker-Murphy 4, Teah Charlton, Nicole Campbell, Danielle Goding, Jessica Kirk, Hannah Munyard. Despite a slow start, South Adelaide has stormed to a massive 52-point win over Central District to win its fifth concecutive match. Danielle Goding converted the first opportunity for the Panthers five minutes into the opening term, before Chantel Reynolds responded for the Bulldogs late in the quarter for Central District to hold an unlikely two-point lead at quarter time. The visitors managed to maintain their defensive pressure in the second term as both sides added just one behind for the Bulldogs to retain a two-point advantage at the main break. The half-time address must have been something special for South Adelaide as the Panthers clicked into gear and went back to the level everyone has come to expect of them this season, piling on eight goals from 14 scoring schots, while keeping their opponents scoreless in a dominant 40 minutes of football. Mykala Walker-Murphy booted four goals to be the true headache inside 50, while Teah Charlton, Nicole Campbell, Jessica Kirk and Hannah Munyard all got on the goalkickers list in the 9.7 (61) to 1.3 (9) victory. Czenya Cavouras had an equal team-high 22 touches as well as five clearances, three inside 50s and seven tackles, while Charlton also had 22 disposals, four marks, four clearances, four inside 50s as well as 1.2. Campbell and Cheyenne Hammond had plenty of the football with 20 disposals apiece, while Campbell also had three clearances, four inside 50s and eight tackles. Munyard (18 disposals, four tackles) Emogen Johnson (17 disposals) and Sarah Wright (17) were also prominent in the victory. Young ruck, Montana McKinnon had another 16 hitouts to go with 15 disposals, three clearances and five inside 50s. For the losing side, Danielle Stewart tried hard with 23 disposals, two marks, six clearances, six rebounds, two inside 50s and four tackles, while Demi Sonneman was strong with 15 touches, six rebounds and seven tackles. Jayme-Lee Sonneman (13 dicsposals, three clearances, three rebounds and three tackles) and Kimberley Fry (10 disposals six tackles and two rebounds) were other Bulldogs in double-figure disposals. Next week the Panthers take on Glenelg as the Tigers hope to respond to three consecutive losses, while Central District host Norwood in the toughest challenge in the league at present. North: Kelly Barltrop 3, Emma Sampson, Adrienne Davies 2, Kathryn Reynolds. North Adelaide is starting to kick into gear, trouncing cellar dwellers Woodville-West Torrens in an impressive 49-point win on Sunday. The Roosters had their work cut out for them early before eventually shaking off the bottom side in an 8.9 (57) to 1.2 (8) victory. Adrienne Davies booted the first two goals of the match for the Roosters to take a 14-point lead into quarter time, before Cassandra Glover booted the Eagles’ first in the fifth minute of the second term. From there it was all North Adelaide as Kelly Barltrop took control to add a couple more majors before the half-time break and continue her likely leading goalkicker award campaign. After four consecutive behinds in the third term, Barltrop added her third, and Emma Sampson joined the party with back-to-back goals either side of three quarter time. Kathryn Reynolds converted her first in the fifteenth minute of the last quarter, to help the Roosters to the eye-opening win. Nadia Von Bertouch again led from the front with the captain picking up 22 disposals, seven marks, eight tackles and four inside 50s, while Lauren Daniel and Brittany Perry both managed 19 disposals, the latter of which als ohad five marks (two contested), five clearances, three inside 50s, four rebounds and six tackles. Leah Tynan was strong on the inside with six clearances from 18 touches, while Sampson had 14 touches and five marks to go with her two goals. For the Eagles, Jovanka Zecevic stood up with 19 disposals, one mark and five rebounds in defence, while Jaimi Tabb made a welcome return to the midfield with 14 disposals, two marks, four clearances, four inside 50s, two rebounds and six tackles. Stephanie Walker had three rebounds and four tackles to go with 12 touches, while Grace Smallacombe also had four rebounds from her nine disposals. Next week North Adelaide travel to face their West counterparts, while Woodville-West Torrens takes on Sturt in a bottom two clash. AFTER revealing the top South Australian boys who tested in their respective pre-season testing event, we have released the top five performers in each test for the South Australian girls, with some terrific results. Of the 45 players invited to test, 31 girls were able to complete at least one test, with 14 unavailable for various reasons. The standout performer by far was South Adelaide’s Hannah Munyard who finished top two in every test, an impressive feat for any young athlete. The top-age prospect played with South Australia at the AFL Women’s Under 18 Championships last year, and has been a key member of the Panthers so far in season 2019. Aside from Munyard, Woodville-West Torrens’ Tesharna Maher took out the standing vertical jump and 20m sprint, while Sturt’s Isobel Kuiper took out the Yo-yo test. The Panthers and Eagles tested particularly well across the day, with South Adelaide having four players record a top five finish, and Woodville-West Torrens having three. Central District also had three different players finish in the top five, while North Adelaide and Glenelg had two, and Sturt had one. Below are the top five in each test completed. ROUND 5 of the South Australian National Football League (SANFL) Women’s competition had it all, from a goalless game, to a dominant performance by the premiership favourites, and established teams reasserting their dominance on the new sides. It was a Saturday to remember as the round marked the halfway point in proceedings. In a game that will no doubt be remembered for its goalless finish, Sturt will care little after taking home its first win for the year, in the 0.5 (5) to 0.3 (3) victory over Glenelg. They scored three of their five behinds in the first half, and despite a flurry of late behinds by the Tigers, managed to hold on in the unusual two-point win. The loss was devastating for Glenelg who scored three behinds for the second week in a row – marking back-to-back defeats. Glenelg laid more tackles, had more disposals and won the inside 50 count, but it meant little in the end. Sophie Hoyle was the top ball winner for the Double Blues with 20 touches, three marks, five inside 50s and four tackles, while Maya Rigter picked up 17 disposals, one mark and laid eight tackles. Georgia Bevan and Jess Schulz combined for 28 disposals and 11 rebounds, while Kate Harris tried her best to get the ball moving forward with four inside 50s from her 12 touches and seven tackles. For Glenelg, Chelsea Packer was the standout ball winner with 20 disposals, two marks, five tackles and two rebounds, while Lucy Bellinger tried to make things happen in the forward half with 18 touches, five marks (one contested), two tackles and four inside 50s. Caitlin Gould (18 disposals, 21 hitouts and six tackles) was terrific around the ground, while Lucy Armitage was also busy through the midfield, collecting 18 disposals, while laying 10 tackles and having four inside 50s and three rebounds. Glenelg have the toughest task in Round 6 with a trip to face Norwood who are steaming ahead, while Sturt while hope to go back-to-back with a victory over West Adelaide. Norwood: Alison Ferrall 3, Sophie Armitstead, Hannah Dunn, Jo Hill, Monique Hollick, Matilda Zander, Rosette Zerella. In a one-sided affair, the undefeated Norwood flexed its muscles with a commanding 63-point victory over the in-form West Adelaide. The Bloods could only manage a point throughout the contest, held scoreless in the final three terms. The Bloods put together a consistent four quarter effort rather than a dominant single term, booting two goals in three of the quarters, and three goals in the second term on the way to a 19 scoring shot to one performance. Alison Ferrall was the key goal kicker for the Redlegs, booting three majors from nine disposals, four marks and two inside 50s, while Hannah Dunn and Monique Hollick both capitalised with a goal each. Dunn missed a couple of opportunities in front of goal but still was prolific with 20 touches, three tackles and two inside 50s, while Hollick took 10 marks to go with her 24 touches. The standout player however, was Najwa Allen who suffered leather poisoning once again with 33 touches, six marks, four inside 50s and two tackles. Sophie Armitstead had 17 disposals, three tackles, four inside 50s and a goal, while Leah Cutting returned to have an impact in the ruck with 23 hitouts from nine disposals and seven tackles. For West Adelaide, Madison Newman was superb in defence, producing a massive nine rebounds and laid three tackles to go with 22 disposals (20 kicks). Lauren Rodato (17 disposals, three marks, three rebounds) also tried hard, while Chelsea Biddell had nine hitouts and 13 disposals, while getting back for five rebounds. In Round 6, Norwood hosts the out-of-sorts Glenelg, while West Adelaide will hope to bounce back against Sturt. North: Kelly Barltrop 4, Cristie Castle, Nadia Von Bertouch. Central: Jessica Sedunary, Katelyn Rosenzweig. North Adelaide ended Central District’s winning streak with a three-goal victory. The Roosters held the Bulldogs scoreless in the first term as captan, Nadia Von Bertouch took just 63 seconds to salute with a major, while leading goalkicker, Kelly Barltrop scored her first midway through the term. Central hit back in the second quarter as Katelyn Rosenzweig converted just a second later than Von Bertouch’s first quarter major, while Jessica Sedunary made it two goals as the Bulldogs cut the deficit to just a point by holding the Roosters scoreless in the second. The teams traded blows in the third term as Cristie Castle got the home side off to the perfect start, before Sedunary and Barltrop added their second majors of the game for North Adelaide to lead by eight points at the final break. Barltrop became the match-winner in the final term with back-to-back goals in the space of three minutes to seal the game in a 6.5 (41) to 3.5 (23) win. Barltrop booted 4.1 from a remarkable five kicks, while also only taking the one mark. Von Bertouch stood tall in the crucial game, collecting 22 touches, three marks, six tackles and seven inside 50s, while Jane Altschwager had 16 disposals, five marks (two contested) and 12 hitouts working hard through the ruck. Rheanne Lugg (15 touches, two marks, two inside 50s) and Emma Sampson (11 disposals, five inside 50s) were also prominent for the winners. For the Bulldogs, Sedunary was also the top ball winner, racking up 17 disposals, four marks (one contested), five inside 50s, five tackles and two rebounds to go with her two goals in an all-round game, while Danielle Stewart also had 17 touches, as well as seven tackles. Demi Sonneman and Gemma Doughty were rocks in defence in the face of the onslaught, combining for 11 rebounds, 11 tackles and 19 disposals. Next week North Adelaide takes on the winless Woodville-West Torrens, while Central District travels to face South Adelaide at Flinders University Stadium. South: Teah Charlton 3, Madison Bennett 2, Nicole Campbell, Danielle Goding, Indy Tahau, Mykala Walker-Murphy. Eagles: Kiana Lee, Caitlin Sampson. In the final game of the round, South Adelaide produced a clinical win over Woodville-West Torrens, putting the game to rest after a tight first quarter. Both sides managed two goals apiece as Kiana Lee and Caitlin Sampson booted the opening majors to stun the Panthers early and lead by nine points. As if whipped into action, Teah Charlton and Madison Bennett quickly got on the board late in the term for South to take the lead at the first change. Little did they know, the Panthers would dominate the scoreboard over the next three quarters, particularly up one end of the ground. Charlton headed into the main break with three goals to her name as the Panthers held a 21-point lead at the main break. The Eagles restricted the home side to just five behinds in the third term, but could not score themselves, before South’s dominance became evident in the final stanza, pouring on four goals to zero. Charlton finished the day as the most dominant player on the ground with an unbelievable game, booting three goals from 24 disposals, five marks (four contested), a whopping 16 tackles and three inside 50s. Nicole Campbell (20 disposals, three marks and six inside 50s) and Hannah Munyard (20 disposals, five marks and five inside 50s) were once again standout performers, while Czenya Cavouras laid seven tackles to go with her 18 touches. Bennett’s two majors also came with two marks, six tackles and four inside 50s, while Emily Brockhurst had a game-high eight inside 50s as well as 13 disposals and four marks. For the Eagles, Lee had 15 touches, four marks and three inside 50s as well as a goal, while Jovanka Zecevic finished with a team-high 16 disposals, one mark, four tackles and three reboudnds. In defence, Natasha Farrier was busy with six rebounds from 13 disposals, four marks and six tackles, while Tesharna Maher had two rebounds, three tackles and three marks to go with her 15 disposals on the day. In Round 6, South Adelaide hosts Central District, while Woodville-West Torrens will search for its first win against North Adelaide at home.